Follow me at The Blackbelt MasterMind Page for regular info, tips and more! ​FREE 12 Step Guide today! Yes thank you, I would like it! ​Hi, welcome and thank you so much for stopping by! My name is Danielle Serpico and I am your Mastermind Coach. I am also an NLP Master Practitioner & Trainer, Author of The Blackbelt MasterMind Book, Self Defense expert, European Martial Arts Champion & Radio Host with my own show RadioMasterMind. I have a passion for painting bright and inspiring art, a love of any furry cuddly animal and a drive to make a difference to as many 'minds' as I can in this world. One of my motto's is 'If you don't mind, you still matter' (-: for I believe that we sometimes need a little guidance. It is not always obvious how we self sabotage ourselves or limit our minds with preconceived ideas as to how we are or should be. Sometimes, we need someone to help us, give us a wake up call, so that we can see all the abundance that is staring us in the face. ​With a 20 year background in business, entrepreneurship, managing, coaching and mentoring, I will help you rediscover your 'fighter' mind-set, overcome any obstacles or limiting beliefs and show you how to go after your dreams so that you can win in your life. I have trained with many experts worldwide in the field of transformational change including John Lee, Andy Harrington, Owen Fitzpatrick, Justin Tranz, Paul McKenna, Tony Robbins and of course Richard Bandler! 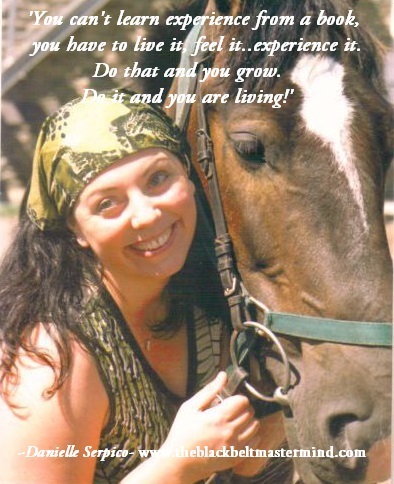 I have worked with clients worldwide and witnessed huge shifts and wonderful change happen! I look forward to working with you and watching your success! When I was little, I used to love these magazines where they had a picture and I had to follow the guided number chart to fill it in. It would say…red in number 2 area and so on so forth. It was easy and helped me formulate the basis of my ‘staying in line’ skills. But after some time, when I became really good at this, I started to get bored. No longer did I look at the chart to follow. What I learnt then and I still believe to this day, is that sometimes we need a solid grounding, a base from which to start from. Like learning the alphabet. We start with the basics, A-B-C and then progress to CAT, MAT and SAT. We start creating our own phrases and then with taking little risks, slowly but surely we can become more daring and these words can become our own original stories. If we start off with baby steps, and slowly repeat and repeat, building our confidence and adventurous muscle, then we can grow. I believe, sometimes ( actually most of the time) crossing over those lines is a good thing, in fact a great thing. In fact a necessary thing! For without people who went that little bit over and peered over the edge…. without them, well… life would be boring, static, all the same. We would be robotic, like drones, filing to class or to work.